Vladimiro Pegoraro, licensed to practice law before the higher courts, graduated from the University of Padua in the academic year 1976/77. After a professional experience with the European Community institutions, in 1982 he started his legal practice in Padua, and in 2002 he founded the professional association, now based in Padua, Piazzale della Stazione 6, together with his colleague, attorney Michele Griggio. As a civil law attorney, ha has developed various skills and, among them, a long and specific experience in agricultural law and contract law, with which he has been involved since the beginning of his professional practice. He is a consultant for various companies and professional associations and has been a director of private and public companies. He coordinates the firm’s activities in the civil law area. 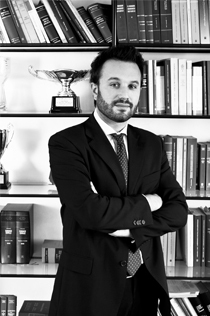 Michele Greggio, licensed to practice law before the higher courts, graduated from the University of Ferrara in the academic year 1989/90. 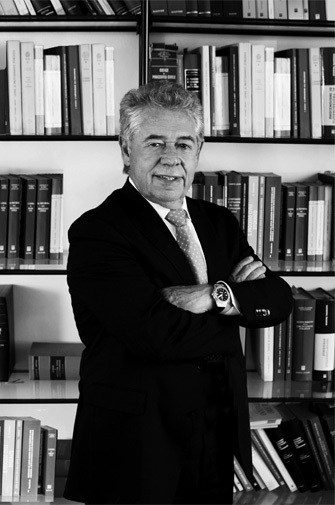 He co-founded the firm with attorney Vladimiro Pegoraro after having worked with some of the most prominent law firms specializing in administrative law in the Veneto region. Among others, he has gained significant experience in town planning and construction, commerce, liability towards the state Treasury, public procurement, both by assisting customers in judicial and out-of-court proceedings and by providing advice and assistance to Public Administrations, including with regard to municipal and supra-municipal town planning. He acts as attorney for several municipalities. He organizes refresher workshops in the field of administrative law and is involved in teaching activities at the post-graduate law school in the ​​administrative law area. He coordinates the firm’s activities in the administrative law area. Graduated in law in 2006 from the University of Bologna with a thesis on labour law. He obtained the license to practice law in 2010, and joined the Padua Bar in 2011. 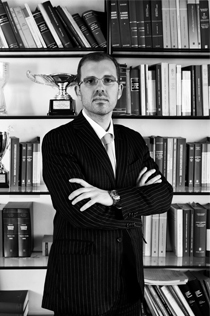 He has attended short-term specialization programmes in International Contract law and Industrial Property law. Since 2011, he has been an associate of the firm mainly dealing with civil law and, especially, contract and property law, professional liability and debt recovery. 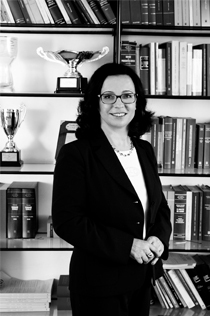 Graduated in law from the University of Padua in 1996; she became licensed to practice law in 1999 and has been a member of the Bar since 2001. After joining the firm in October 2000, she has been involved in the field of administrative law, with specific focus on construction, town planning, and expropriations, from both the administrative and compensation standpoint. 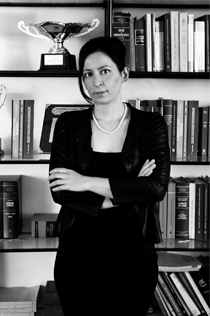 Graduated in law from the University of Padua in 2008; she became licensed to practice law in 2011 and has been a member of the Padua Bar since 2012. She spent the two years of professional practice at a law firm that specializes in administrative law, where she gained experience in the areas of public procurement of goods, works and services and in the field of public competitions, examinations and appointments. 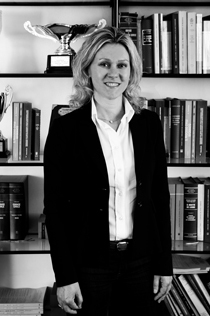 After joining the Pegoraro Greggio law firm in 2011, she has been practicing in the administrative law area, providing advice, drafting opinions and assisting customers, both in the out-of-court and in-court stages of proceedings, mainly in the fields of town planning, construction, expropriations, public tenders for goods, works and services and concessions for public works and services. Earned a master’s degree in Law from the University of Padua in 2009 and has been a member of the Padua Bar since 2014. He carries out his professional practice mainly in the field of administrative law, with special focus on public procurement, town planning and construction as well as administrative liability. In February 2016, he obtained a postgraduate diploma as public administration specialist from the Specialization School for Public Administration Studies (SPISA) at the University of Bologna. He joined the Pegoraro Greggio law firm in December 2013, where he has continued to focus on the administrative law area. Graduated in Law from the University of Ferrara in 2013. 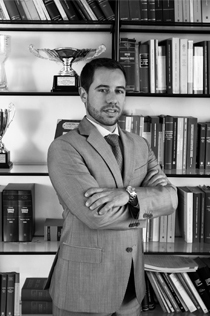 Prior to joining the firm, he has gained professional experience at a prestigious law firm in Padua and subsequently with UHY Fay & Co law firm in Barcelona. He earned the "Master de Acceso a la Abogacía" degree from the Universidad Antonio de Nebrija in Madrid and became licensed to practice law after passing the Spanish state examination. He has a special interest in extranational law and management, and as an associate of the law firm, in addition to a general training experience, he has been mainly engaged in proceedings concerning crimes in the construction, town planning and environmental fields. He joined the Pegoraro Greggio law firm in December 2015 and since 2016 has been enrolled in the Special Section of the Bar for lawyers qualified abroad. 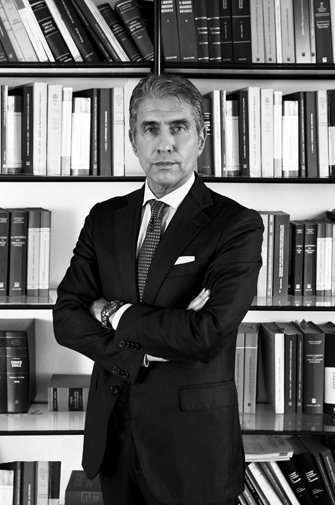 Graduated in Law from the University of Padua in 1994 with a thesis on banking law and has been a member of the Bar since 1997. She has gained a long-standing experience in corporate law and in insolvency and bankruptcy procedural law, providing ongoing out-of-court assistance and advice in commercial and corporate matters and assisting customers in court in relation to corporate litigation. She became partner of the Pegoraro - Greggio law firm in 2015.